With incredible natural scenery, idyllic beaches with crystal clear waters, predictable winds, easy navigation, and nearly a 12-month sailing season, its no wonder the Virgin Islands are among the world’s premier sailing destinations. For business yacht owners, this translates into unparalleled opportunity for charter income and great cruising. Our two affiliates offer premier yacht management services, with your choice of location in St. Thomas or Tortola, each with its own advantages and benefits. In St. Thomas, fly direct from the US mainland on any number of regularly scheduled non-stop or connecting flights, be onboard your boat minutes after touching down. The best of the Virgin Islands are just a few hours sail away. From Tortola, your yacht is based in the heart of the world’s premier cruising ground, with connecting air service from San Juan into Tortola, or Ferry service from St. Thomas. Your yacht is always available to you for unlimited owner use, with complete flexibility over when and where it is offered for charter, and how it is equipped. Our affiliated management companies are known for their exceptional boutique service high quality maintenance, and attention to detail, ensuring your yacht is kept in the best possible condition. For yacht owners seeking to maximize charter revenue, the Virgin Islands is usually a first choice. Call us for a detailed business plan or attend one of our regularly scheduled webinars to learn more. Kristi Chapman and Jim Query – The Journey to VIYCEven though VIYC was officially launched in 2016, the road that led us to this point began in 2012 with a call to Chris Bent at Atlantic Cruising Yachts regarding purchasing a sailing catamaran. Within days, we had signed a purchase agreement and were moving forward with the purchase of Being Nauti, a beautiful Fountaine Pajot Lipari 41.We truly began to fall in love with Being Nauti when we traveled to Atlantic Cruising Yachts Annapolis facility to begin the outfitting process. The team at Atlantic Cruising Yachts was incredibly helpful and insightful about setting the boat up perfectly to be ready for the charter fleet. They also were able to help match us up with the perfect charter situation for us and for Being Nauti, which was BVI Yacht Charters based in Road Town, Tortola.From our first sailing trip aboard Being Nauti, we were completely hooked on the Virgin Islands. The combination of crystal clear caribbean water, beautiful islands and friendly people convinced us that we would make this our home as soon as possible. The opportunity to make the leap to the islands finally came in 2015 when we purchased VIBE Charters, a successful day charter business based in St Thomas. Our passion for being on the water combined with our commitment to giving our customers the highest level of service available on St Thomas has fueled our continued growth and success.As our day charter business continued to grow and we began looking for other opportunities to expand, it became obvious that the answer was already in plain sight. 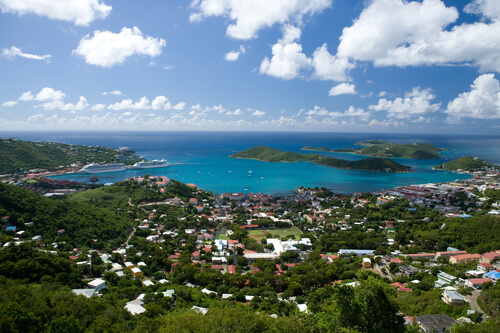 We knew that St Thomas, and specifically the East End, were in need of a bareboat charter company bringing the same level of service that we provide our customers. And we knew just who we needed to call. BVI Yacht Charters and Atlantic Cruising Yachts! We knew both companies intimately from the perspective of a yacht purchaser and yacht owner. Both had completely exceeded our expectations over the course of the three years we had been affiliated with them as customers so we were 100% confident that they were who we wanted to be affiliated with. As we began having discussions with BVI Yacht Charters about a possible expansion and partnership in St Thomas, we were thrilled to learn that they had already begun to explore expanding into the St Thomas market and were just looking for the right management team to be available. We quickly realized that it was a perfect fit for both of us and we moved forward quickly with getting the St Thomas base open and fully operational. The benefits of having the full support of the highly professional and successful team at BVI Yacht Charters paired with our knowledge and expertise regarding St Thomas has fuel explosive growth. Our ongoing relationship, begun in 2012, with Atlantic Cruising Yachts positions us perfectly with the best sales team in the world representing Fountaine Pajot and Jeaunau. Having experienced purchasing a yacht from them personally, we have first hand experience with the level of professionalism they bring to the yacht sales market and could not be more excited to be working with them. We feel extremely blessed to be living our island dream and look forward to the opportunity to help many more people fuel their island dreams through Virgin Islands Yacht Charters.